Nothing boosts productivity like an application or piece of software that makes if very easy to get your computing tasks done without fighting your way computer all the way. And I am always in search of such applications. In the past few months, five such applications have come to my attention. And they are all free software, available on your favorite distribution. But you will not find them all on one distribution or even on one desktop environment. Some are specific to a partition distribution, others to a particular desktop environment. KLook – This is one really cool application. Need to play an audio file, watch a video, read a PDF or text file, or view images in a folder? KLook will let you do all one after the other, in a gallery fashion, right from Dolphin, KDE’s file manager. There is no application quite like it in Linuxdom or BSDland. The only downside at the moment, is that it is available only on ROSA Desktop, a Linux distribution derived from Mandriva Desktop. But it is free software, published under the GPL, so if you are a distro developer, and are looking for a cool application to port to your distribution, grab the source code from here and start porting. You may read about KLook in more detail at KLook: A Swiss Army Knife of media type viewers. Below is a scree shot of KLook in gallery mode. 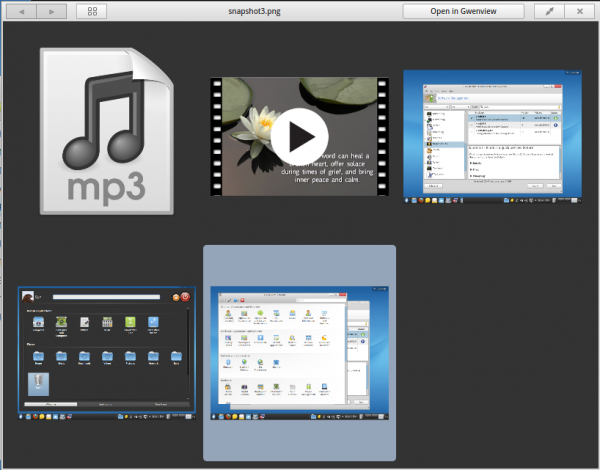 ROMP – ROMP, or ROSA Media Player, is another application available only on ROSA Desktop. It is the default music and video player for the distribution. But being a music and video player is not what makes it a standout application. There are many such applications in our universe. 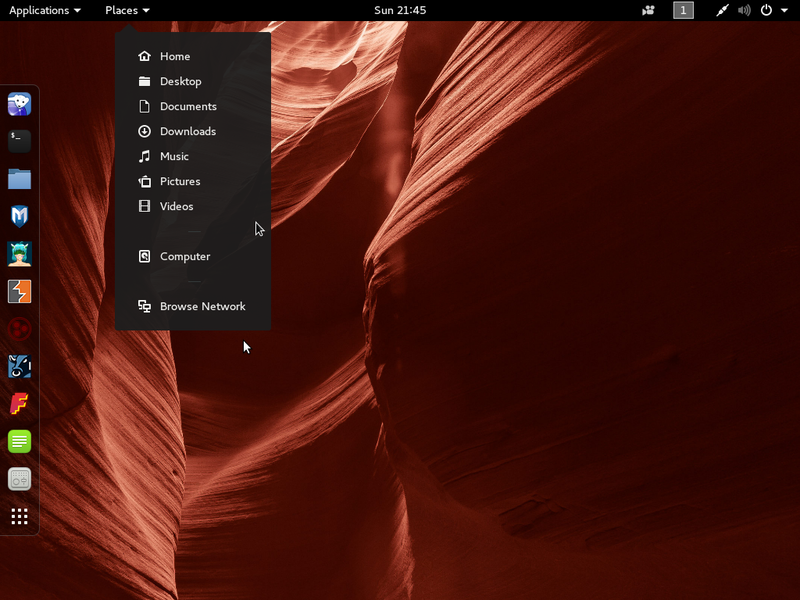 What ROMP has that no other media player that I am aware of has, is a built-in desktop recorder, just like the feature that was just introduced with the latest release of the GNOME desktop environment (see 3 minutes with GNOME 3.4 built-in desktop recorder). That is why I like ROMP. But again, it is only available on ROSA Desktop. So the only way to see it in action, is to use that distribution or have our distribution’s developer port it. You may read more about ROMP at ROMP: Media player with built-in desktop recorder. Deepin-Scrot – If you take and lightly edit screen shots as much as I do, this is one small application that you will like to have. 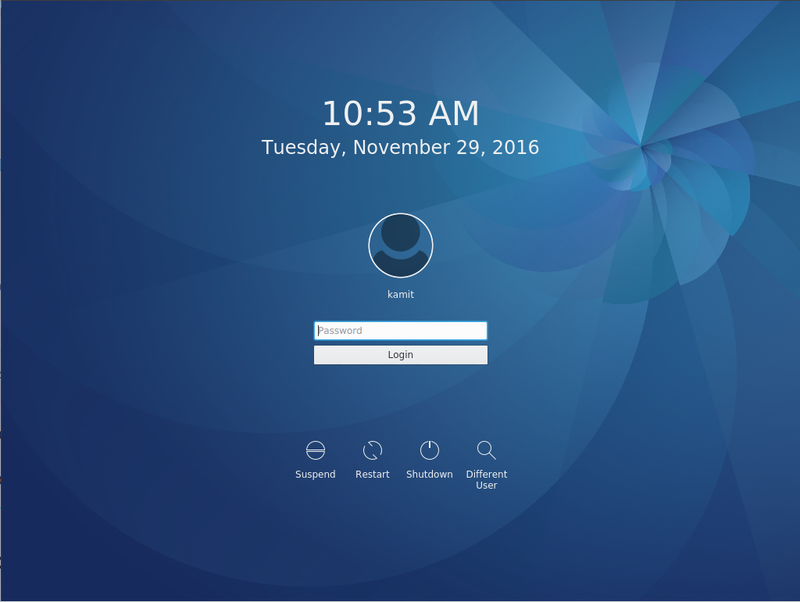 It is built into Linux Deepin, a desktop distribution based on Ubuntu Desktop. What it does, is allow you to take a screen shot and edit the screen shot in situ. 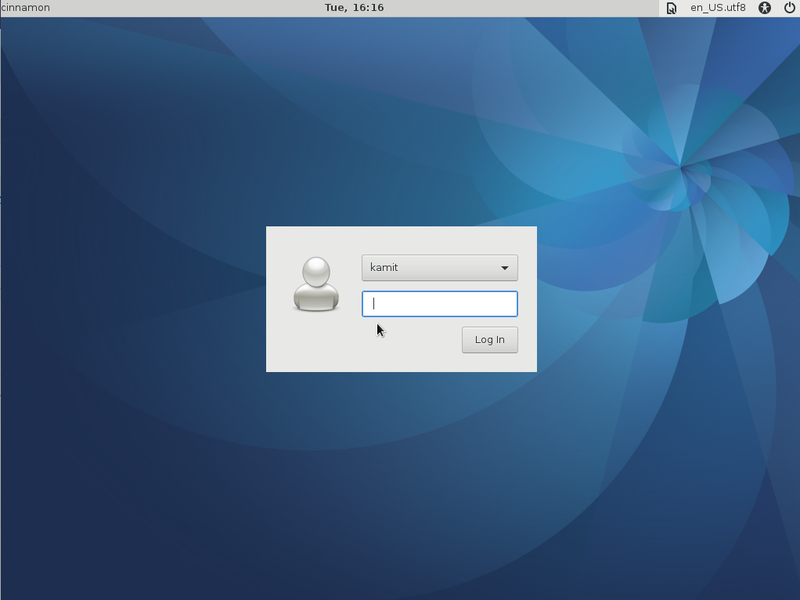 If you are a Linux Deepin user, Scrot complements the built-in desktop recorder of GNOME 3.4 very nicely. Stackfolder – Stackfolder is from Mandriva, and you will also find it on Chakra and ROSA Desktop. What it does is very simple: Allow you to browse the contents of a directory or your home folder from the KDE panel without opening Dolphin, the file manager. 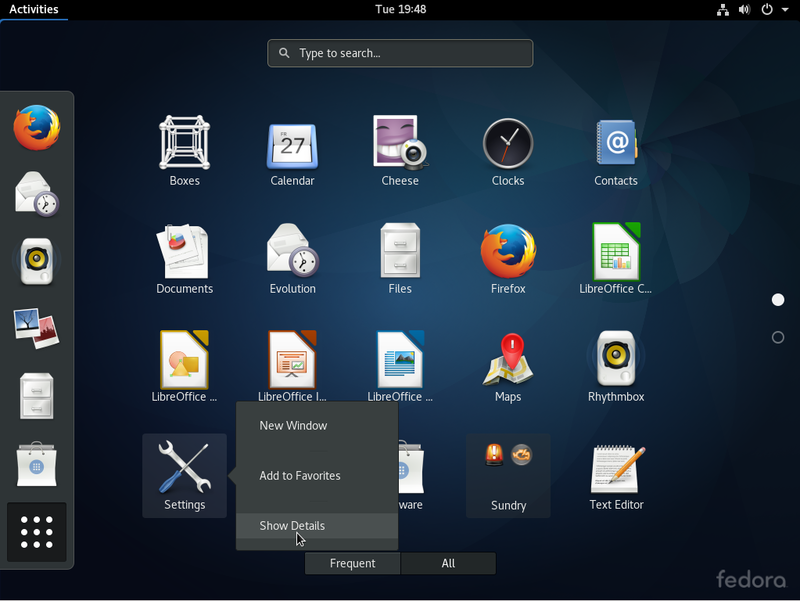 It is one of two applications that I wrote about in 2 cool reasons to use the K Desktop Environment. A screen shot is shown below. Takeoff Launcher – There are several menu styles for the K Desktop Environment, but none makes accessing applications installed on your (KDE) machine as fun and as user-friendly as Takeoff Launcher. It is a highly customizable, full screen menu I wrote about here. 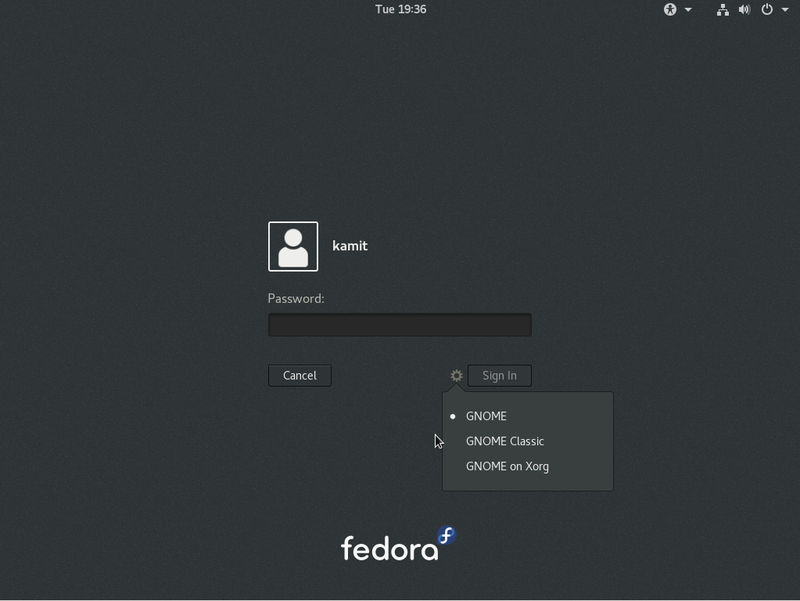 There is a binary package for it on Chakra and you can compile it from source for other KDE distributions. A screen shot is shown below. 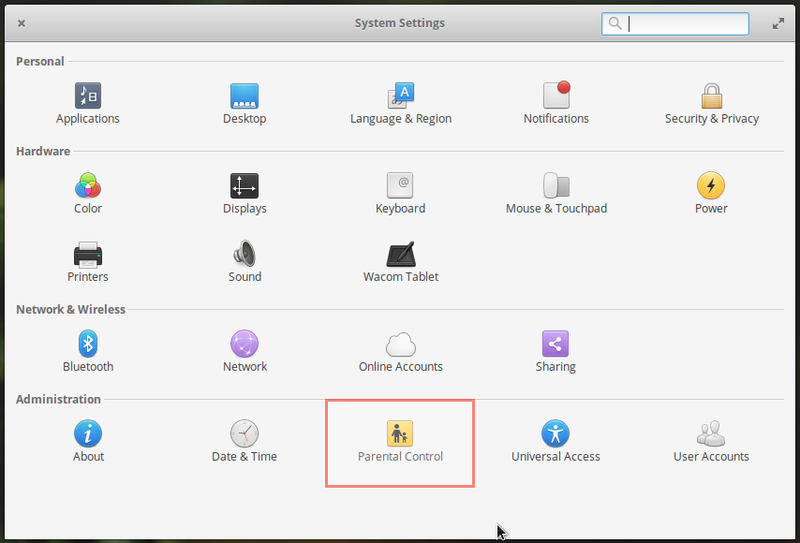 If you are using Linux Mint KDE or Fedora, and like this menu style, you might want to read How to compile and install Takeoff Launcher on Linux Mint 12 KDE or How to install Takeoff Launcher on Fedora 16 KDE. 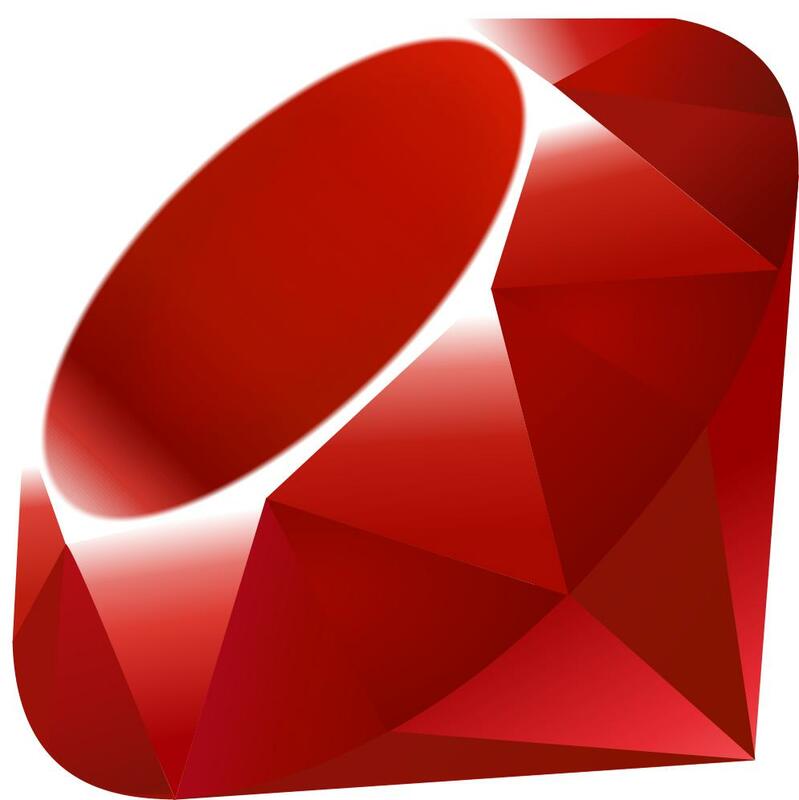 Several days before reading this article, I found the Rosa group of installs at another site. I never got Rosa in, and never felt that part of an easy install included cranking up K3D, doing an ISO, installing from ISO, and praying for the best (since, newbies don’t generally do this type of thing.